The wedding industry quickly picks up any potentially beneficial innovation from the world of advertising, design, art and other areas related to beauty and transformation. 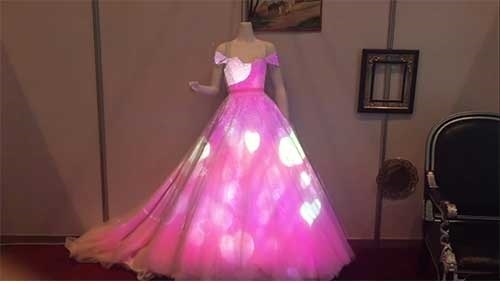 At the moment, the possibility of applying 3D mapping to small objects, namely the 3D interactive projection on a wedding dress and cake, is very interesting and promising. Therefore, in this article, we will tell in detail about this very interesting technology that will decorate your celebration. 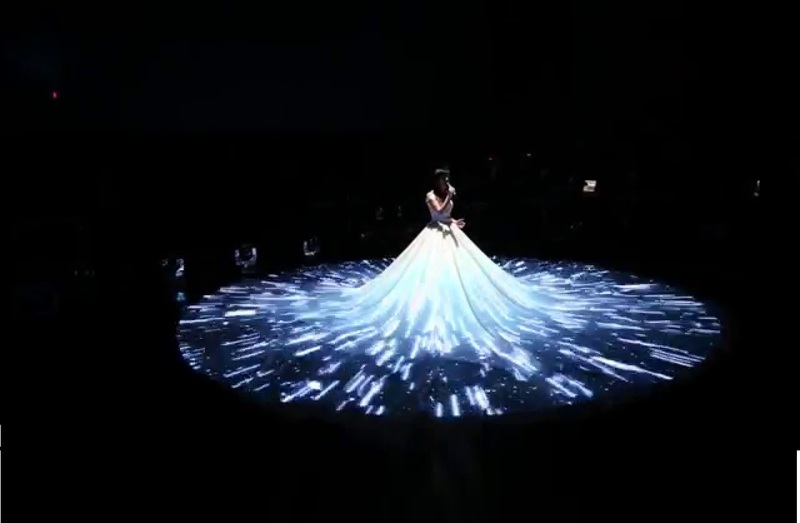 Using 3D mapping, the advanced technology coming from marketing will allocate your wedding in the general mass, it will be remembered for a long time by guests, and you will get a lot of unusual photos and memorable video. If you are a wedding organizer or video operator, then, of course, the availability of such a service will significantly increase the number of your orders. And if you are a cafe owner, then with the help of 3D mapping you will finally find the answer to the question " How to attract customers to a cafe? " A love story with 3D projection! Note that 3D mapping for the wedding industry is not a new technology - it has been used for a long time and successfully at weddings in the form of projections on the walls, which show love-story, photos of newlyweds, standard video 3D mapping and more. 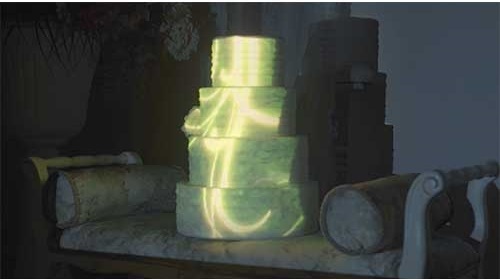 If everything is simple with a cake in this plan - you can make a 3D projection on it at the moment when it is traditionally brought to the hall where the celebration takes place, for cutting and distribution to guests. Then, for the correct and beautiful presentation of the projection for the wedding dress, the organizers and the presenter will need to come up with some small marks, according to which the bride will be in the spotlight. Wherein Video mapping to small objects assumes that the projection will only be on a specific object, excluding the surrounding environment. That is, the bride does not just stand in front of the project, blocking the way part of the video, and the entire video series is focused on it, or rather - on her dress. 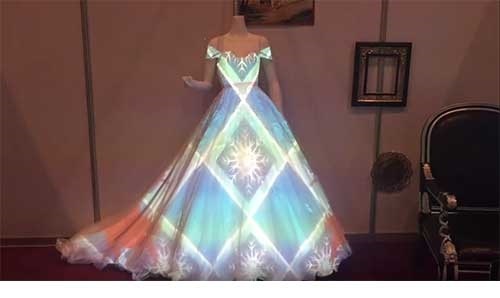 How does the 3D projection on the wedding dress and cake work? You can create a 3D projection for a wedding dress or cake using a special program launched on a laptop. The computer mouse needs to circle the necessary element (cake or dress), that is, make it contouring, so that the 3D projection is only on the selected object. Then start the projection itself, thanks to which the dress or cake is transformed, bringing to the real delight of the guests of the wedding. See how 3D mapping on wedding dress works! The projector, which broadcasts 3D video, stands on a tripod or on the floor for easy shooting and moving, is connected via a cable to the laptop with the running program in which work and playback take place. At the same time, note that as any video-mapping product - a 3D interactive projection for a wedding dress and a cake can be photographed and shot on video, which means that this element can be used for shooting love-story, and also to use when promoting a cafe or restaurant , if You own it and use 3D mapping as one of the ways to attract new customers.